Kristin was extremely helpful in every aspect of the sale. Having never gone through this process before, I had little knowledge as to what it would entail. Kristin made the whole experience easier than I would have imagined it could be. 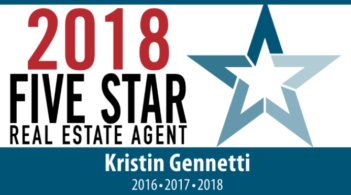 If at anytime in the future look to purchase or sell a property, Kristin Gennetti will be the first person I will contact.